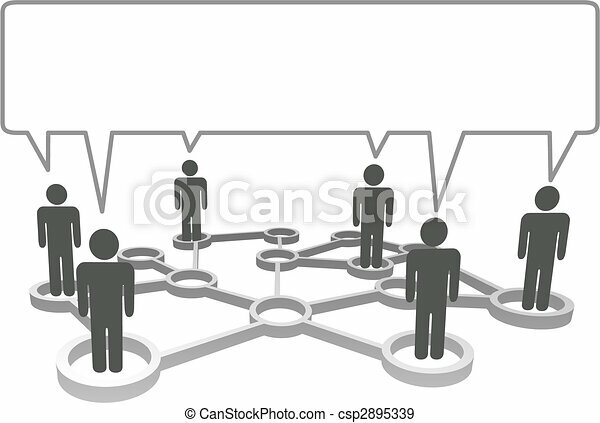 Connected symbol people in network nodes communicate in a speech bubble. 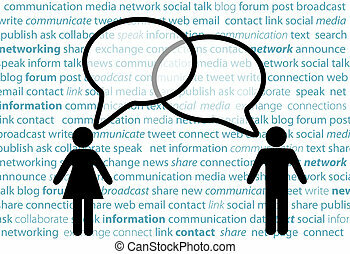 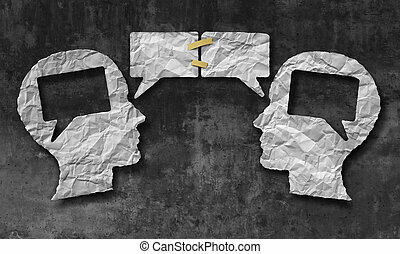 Speaking together social media concept as two crumpled pieces of paper shaped as a human head with talk bubbles or speech bubble icons taped as a communication symbol for business understanding and compromise agreement. 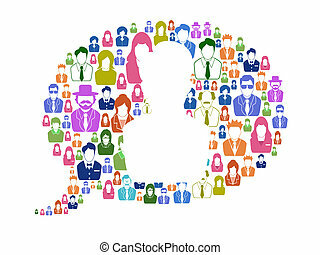 Phone icon in speech bubble on a white background. 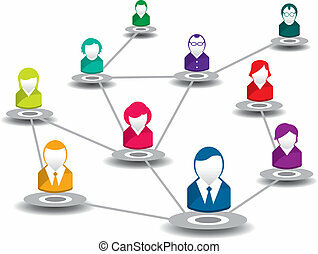 A group of Symbol People in a Media Social Network connect to communicate and blog. 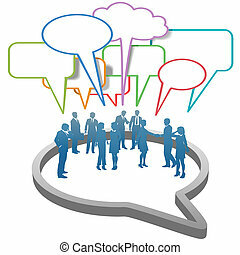 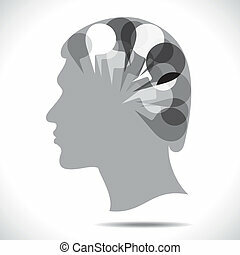 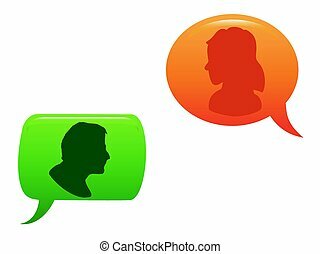 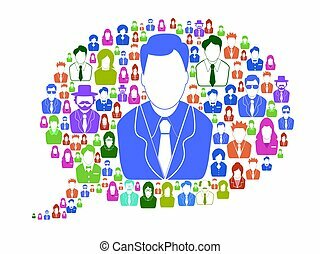 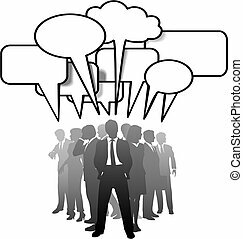 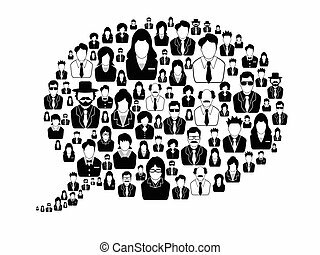 A networked team of business people silhouettes talk in communication speech bubbles. 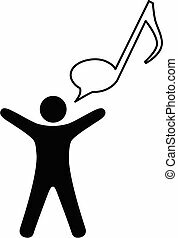 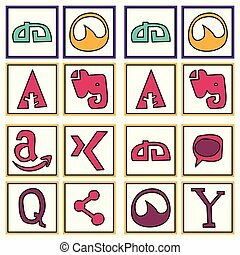 A symbol person sings or talks music in a musical note speech bubble. 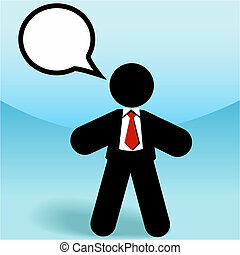 A business sales man stick figure talks in a speech bubble. 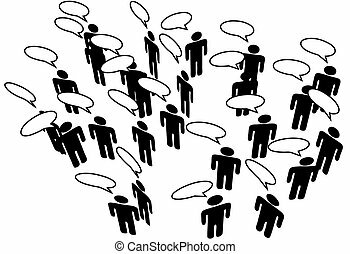 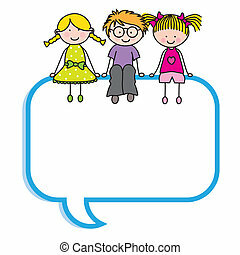 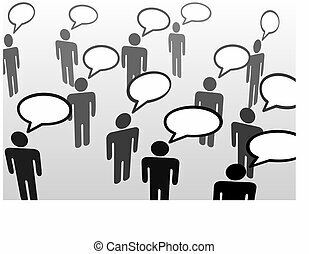 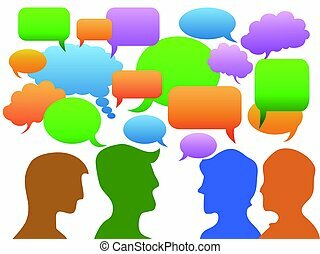 Everybody\'s talking at everybody in speech bubble communication social network. 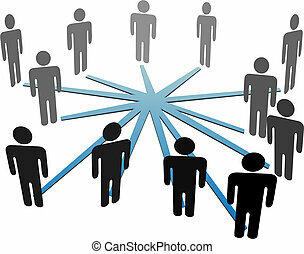 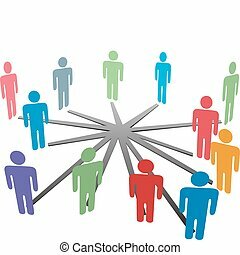 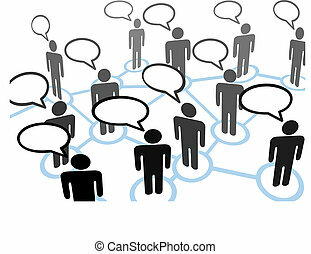 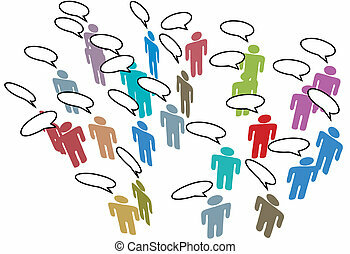 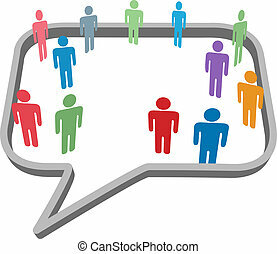 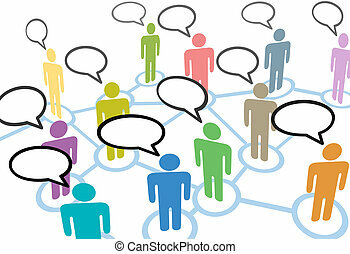 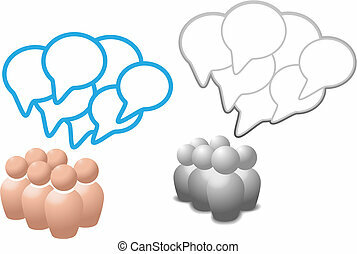 Groups of symbol people talk social media networking in overlapping speech bubble copy space.